Feldenkrais Resources Training Institute is pleased to offer Awareness Through Movement (ATM) workshops, open to both health professionals and the general public. These seminars are appropriate for beginning and ongoing students. Each workshop will focus on a different application of The Feldenkrais Method® and can be taken as a series or individually. These workshops also serve as an excellent prelude to our Professional Training Program. Awareness Through Movement classes consist of gentle, verbally guided movement sequences, each organized around the improvement of a different aspect of human movement and functioning. Unlike many movement practices where the same sequences are repeated, ATM offers an impressive variety of movement situations addressing every human function and area of the body. Thus the learning process in ATM is full of surprises, challenges and the pleasure of learning in new and unexpected ways. The movement lessons give structure to the investigation of diverse themes such as attention, self-image, intention and self-responsibility resulting in a multifaceted and multi-dimensional learning experience. You may register for each workshop individually or for any combination. All workshops are $85 with preregistration and $90 at the door, on a space-available basis. We accept, Visa, MasterCard or checks. Course payment by check may be sent to Feldenkrais Resources Training Institute, 830 Bancroft Way, #112, Berkeley, CA 94710. Register: Info@FRTIBerkeley.com or call 510-540-7600. Refunds will only be given (less a $20 administrative fee) if cancellation occurs more than 2 weeks prior to the workshop. To receive a brochure about the workshops, to register, please contact us at info@FRTIBerkeley.com. Carol Kress has maintained a long and varied private practice. Her work is informed by her longtime involvement in equestrian arts, thorough study of yoga and her dedicated practice of the martial art of Aikido. Since finishing her Feldenkrais training in 1993, Carol has been an associate of Elizabeth Beringer and David Zemach Bersin and together they are the owners of Feldenkrais Resources Training Institute. Dennis Leri is the Educational Director for the upcoming Berkeley 7 Professional training. He has worldwide experience presenting The Feldenkrais Method in training programs, seminars and workshops. He apprenticed with Dr. Feldenkrais at the Feldenkrais Institute in Tel-Aviv, Israel and has taught the Method for over 30 years. His accessible and challenging teaching style reflects training in Western and Eastern philosophy, psychology, martial arts and poetics. 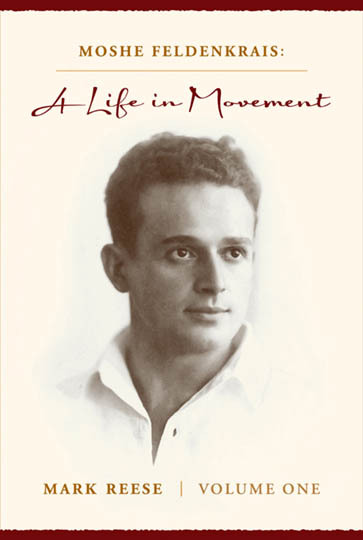 He has published articles which have been translated into several languages on The Feldenkrais Method. Arlyn Zones, M.A., (Theatre Arts), began studying The Feldenkrais Method in 1977 and graduated from Dr. Feldenkrais’ last training program in 1983. She has taught in schools, clinics, and hospitals and has led seminars for physical and occupational therapists and performing artists. Arlyn lives in San Francisco where she has maintained, for 25 years, a private practice, working with performing artists, children, infants, and adults with severe motor difficulties.